This is a non-certification Red Cross course. Basic first aid and caregiving skills are taught to young individuals interested in providing babysitting and caregiving services. Would you like to register with a friend/sibling? Add two Babysitting courses to your cart and apply coupon code "babysit-together" at checkout for a discount. Sorry, discount is not available at the Oval location. This comprehensive course is designed for youth who are 11-15 years old and providing babysitting services learn how to prevent and respond to emergencies. The goal is to provide training on how to prevent and respond to emergencies as well as the how to promote/market oneself as a babysitter to prospective parents. -The course will also cover which questions are appropriate to ask before accepting a babysitting job and determine what age of child your young teen is comfortable caring for. 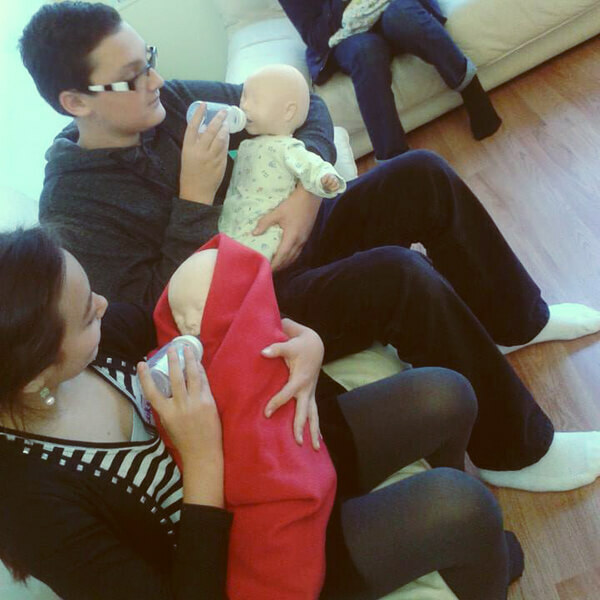 -All of our RC Babysitting courses are taught by experienced instructors. Youth will be supervised at all times and will not be allowed to go off-site at any point throughout the day without the supervision of their guardian. Note: Registration for Richmond Olympic Oval classes must be completed and paid for through their website or by phone (1.778.296.1400). Richmond Oval classes are not eligible for coupons or discounts.